American CryoStem has received a warning letter from the U.S. Food and Drug Administration (FDA) for marketing its adipose-derived stem cell product Atcell without required regulatory approval, and for “significant deviations” from manufacturing processes that potentially raise safety concerns. The company has 15 working days to respond to the concerns raised by the agency and detail how they will be corrected, or risk “enforcement actions,” the FDA said in a Jan. 4 press release. Studies suggest that mesenchymal stem cells can be used to alleviate symptoms and possibly treat several degenerative disorders, including multiple sclerosis. Atcell is a therapy based on the ability of mesenchymal stem cells isolated from adipose tissue (fatty tissue) to transform into a subset of mature cells, which include adipocytes (adipose cells), osteocytes (bone cells), and chondrocytes (cartilage cells). Although not approved for use, Atcell is being distributed directly to physicians to treat patients affected by several life-threatening diseases, including Parkinson’s disease, amyotrophic lateral sclerosis, stroke, and multiple sclerosis, the FDA said in its release. It is administered intravenously, intrathecally (injection or infusion into the central nervous system) or by aerosol inhalation. The product is designed to be used in the same individual (autologous use) the cells are collected from, an approach intended to reduce risk. The cells are extracted using the company’s proprietary Cellect collection system. They are then expanded in the laboratory using the company’s ASCelerate SF-M serum free (animal-product free) media, providing compounds needed for the cells to survive and proliferate. 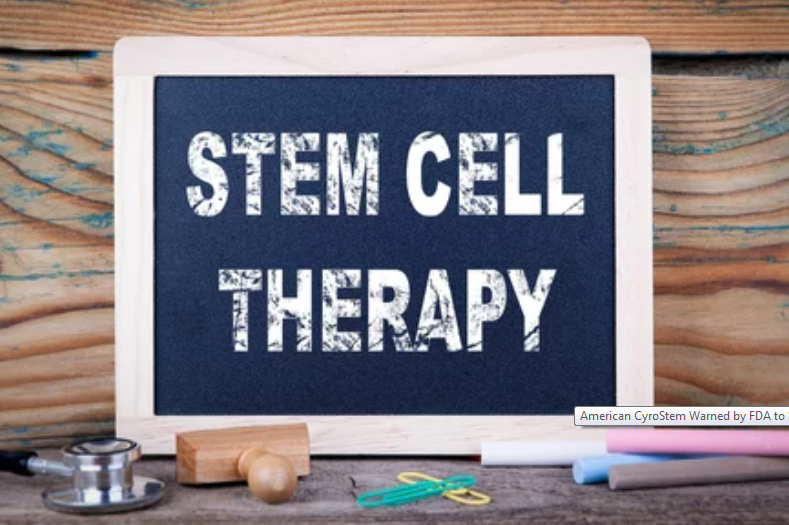 Stem cells put through this process are ready to be used as therapy or to be stored for future use. A recent FDA inspection found that Atcell’s manufacturing steps are not in line with current good manufacturing practice requirements. Specifically, the manipulation of the adipose tissue was more than “minimal,” the FDA reported, changing “relevant characteristics” of the original tissue that could introduce contamination by microorganisms or product defects and represent a “risk of harm” to patients. Because of this manipulation, FDA review is required by law to ensure Atcell’s safety and efficacy, the agency said. Evidence of an inadequately controlled manipulation environment, lack of control of components used in production, and insufficient and inadequately validated product testing were also reported. “The use of Atcell raises potential significant safety concerns, due in part to the fact that there is little basis on which to predict how the product will perform in a patient,” Peter Marks, director of the FDA’s Center for Biologics Evaluation and Research, said in the release. “In addition, this product may also cause harm to patients who may put their trust in an unproven therapy and make the decision to delay or discontinue medical treatments proven to be safe and effective,” Marks added. American CyroStem, based in New Jersey, did respond to observations raised by the FDA at the time of its inspection. But they were found inadequate to support Atcell’s marketing, and failed to acknowledge that FDA approval was required, either by filing a biological license or investigational new drug application. “As part of our comprehensive policy framework for the efficient development and regulation of cell-based regenerative medicine, we’re going to be stepping up enforcement activities against those who manufacture and market products in ways that put patients at risk,” said Scott Gottlieb, FDA commissioner. “We see great promise from the field of cell based regenerative medicine, but there are also novel risks,” Gottlieb added. Healthcare professionals and patients who have used Atcell are asked to report any adverse events related to the treatment using the FDA’s MedWatch Online Voluntary Reporting Form. Completed forms can be submitted online, or via fax to 1-800-FDA-0178.